Yard dogs hankering for a taste of the local mailman’s / delivery man’s tender calves are plain out of luck. 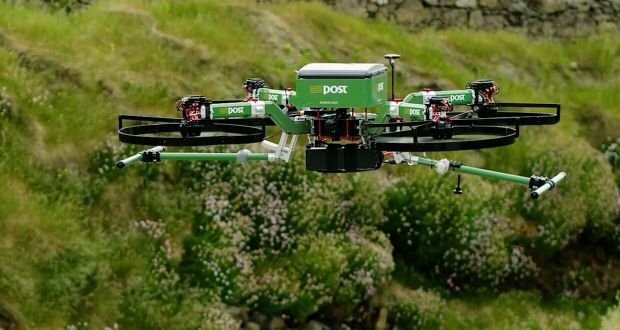 AMP Holding Inc. (in cooperation with the University of Cincinnati) has developed an unmanned, wirelessly recharging octocopter that can attach itself to the top of a delivery truck and autonomously deliver packages thereby foiling those hungry pooches’ plans. Called the HorseFly (as pun to the fact that its “base” is AMP’s WorkHorse electric delivery vehicle), the overall concept combines autonomous and manual control. Once a specific address is determined as best suited for drone delivery, the driver hands over the package via a rooftop access hatch. The HorseFly then scans the barcode on the package, determines the best flight path based on its current GPS coordinates and then flies itself off to the delivery location. However, once it gets close to the drop off point, a certified drone operator will remotely take over control and guide the drone around unpredictable urban obstacles in order to safely release the package. 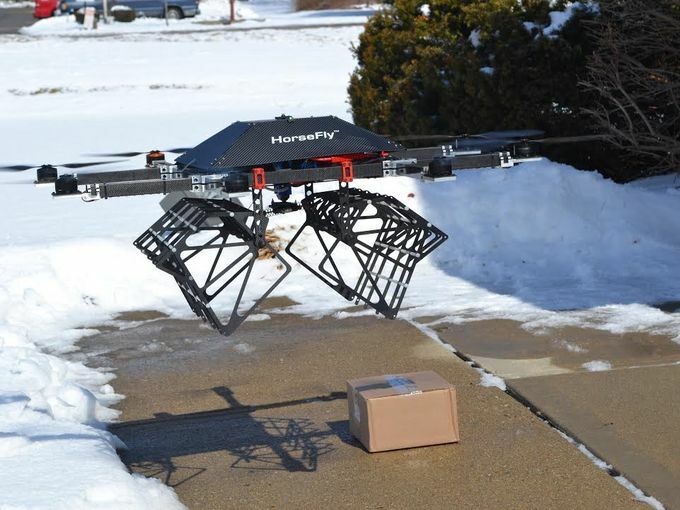 Once delivery is complete, the HorseFly resumes autonomous flight back to its delivery truck where it can wirelessly recharge. 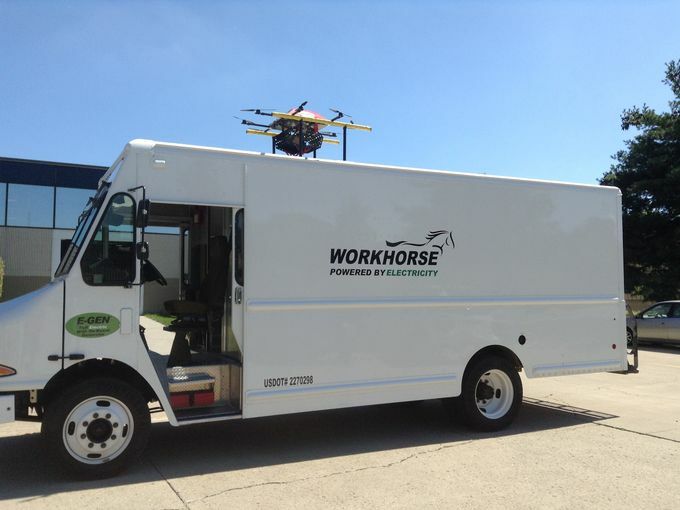 By using the WorkHorse electric delivery truck as both landing pad and launching point (as opposed to flying miles from a distant warehouse), AMP has developed a product that potentially reduces typical delivery emissions and improves the overall efficiency of the package delivery process. A 6.8 kg (15 lb) octocopter with four cameras including an infrared (IR) camera that allows it to detect an infrared pattern on top of its “base” truck thus allowing it to safely guide itself back into its designated landing bay. Up to 4.5 kg (10 lb). Maximum of 30 minutes flight at the moment, however AMP is working together with Panasonic to develop advanced battery technology that will potentially increase flight time to 45 minutes. Theoretically as fast as 88 kph (55 mph). What are your thoughts on the Horsefly? Is it a better concept than Amazon’s Prime Air system? Comment below!